Almost missed my flight as it was pouring in Kolkata (Calcutta) and there was water logging (flooding) on the streets. 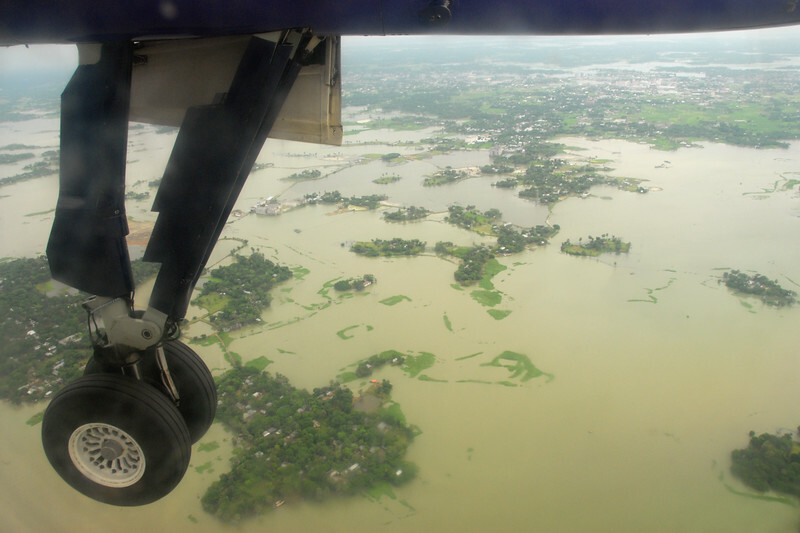 Short flight from Kolkata to Dhaka but it was turbulent and bumpy due to the weather. Ariel view of the level of water & flooding! 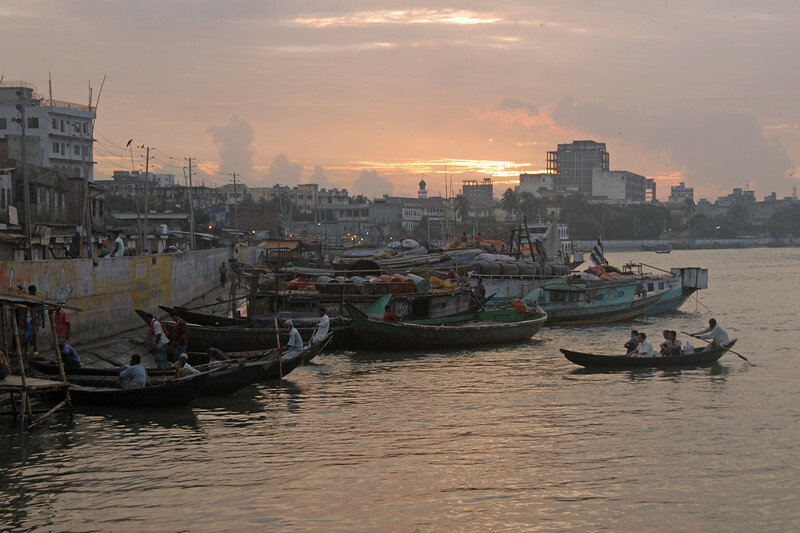 Early morning sunrise over Buriganga River (Bangla: বুড়িগঙ্গা Buŗigônga "Old Ganges") as the man on the left brushes his teeth. 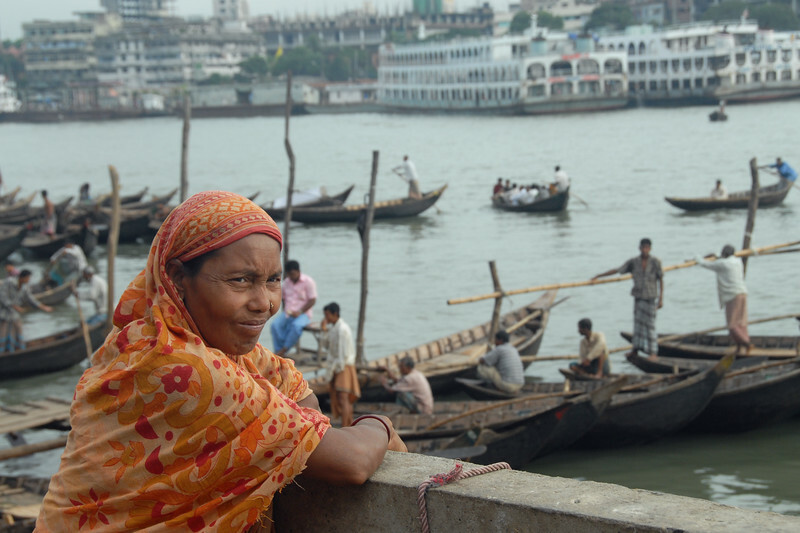 Buriganga is the life line and much happens in and around this river. 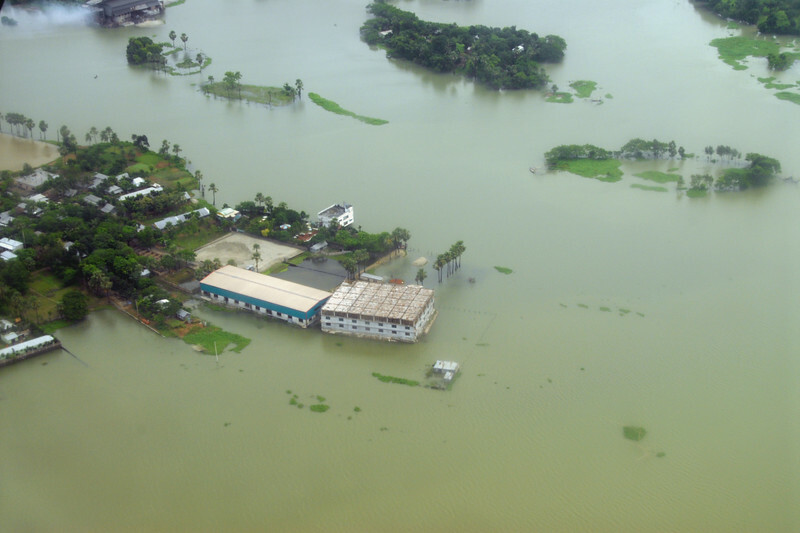 It is the main river flowing beside Dhaka, capital cityof Bangladesh. 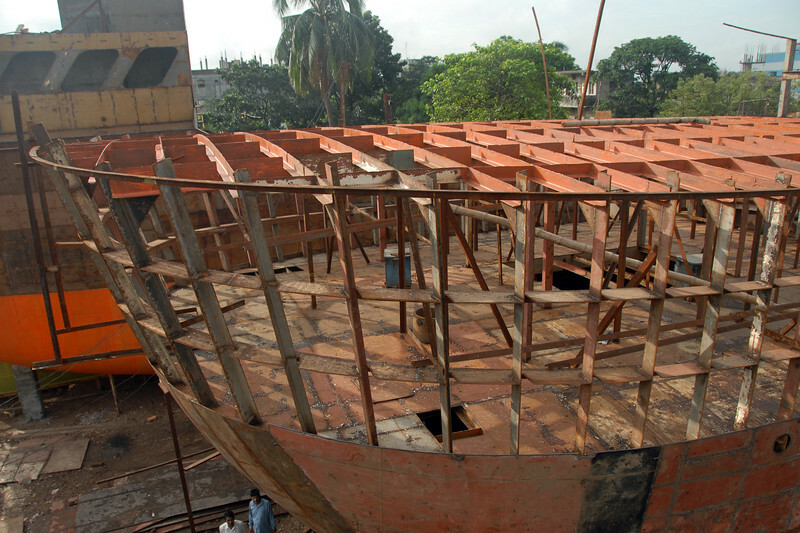 With an average depth of 39 feet (12 m) its quite amazing to see the activities along the river. 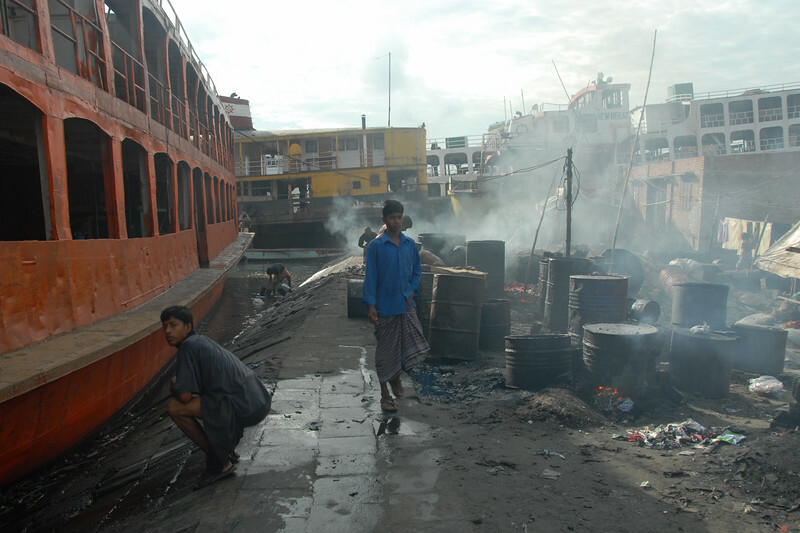 Unfortunately, the river is Dhaka's main outlet of sewage waste and is threatened by pollution and waste. What was mind boggling was that people were using this mucky water to drink, gargle, brush their teeth and take bath all within feets of each other! Amazing immunity system! 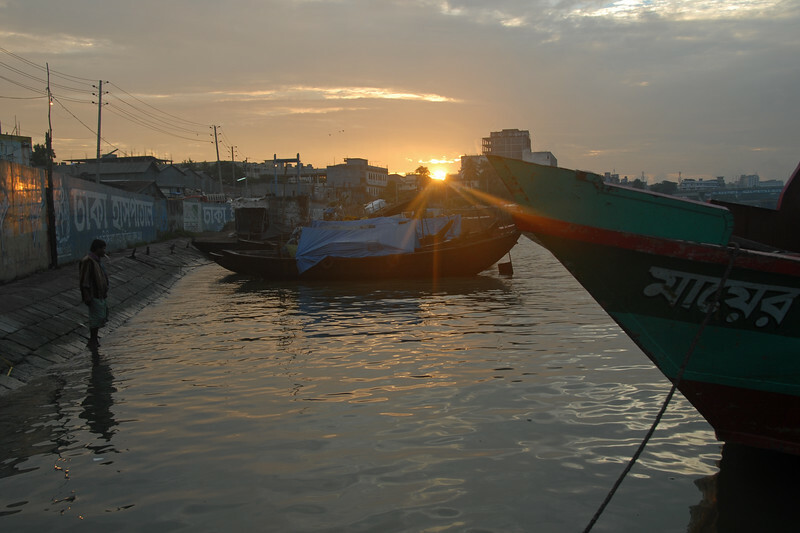 Early morning sunrise over Buriganga River (Bangla: বুড়িগঙ্গা Buŗigônga "Old Ganges"). 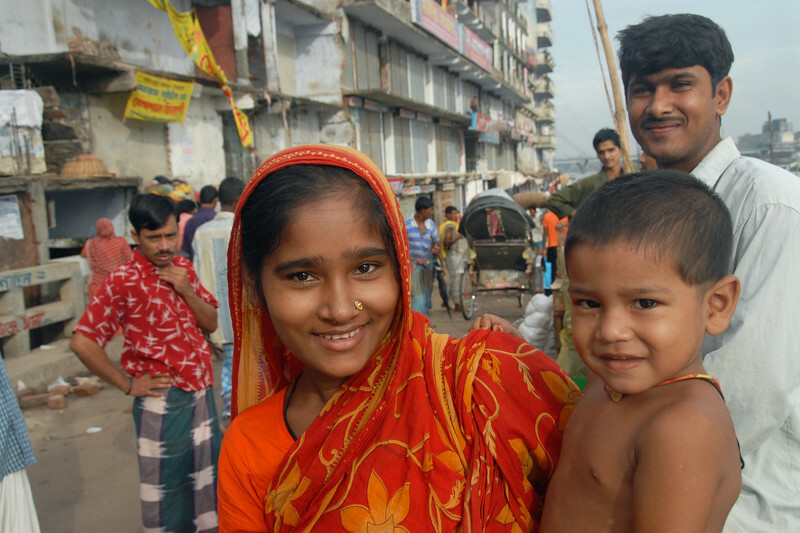 Buriganga is the life line and much happens in and around this river. 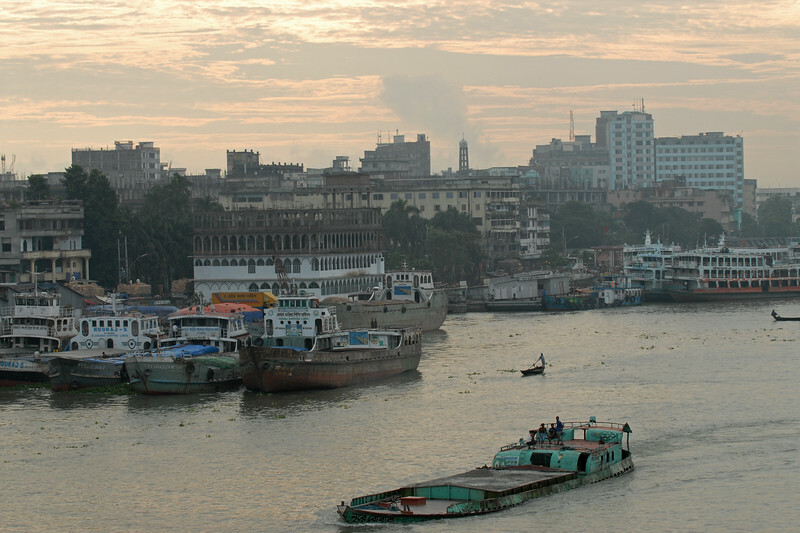 It is the main river flowing beside Dhaka, capital cityof Bangladesh. 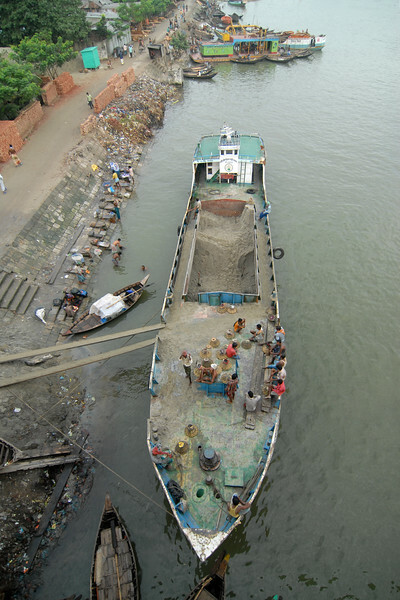 With an average depth of 39 feet (12 m) its quite amazing to see the activities along the river. 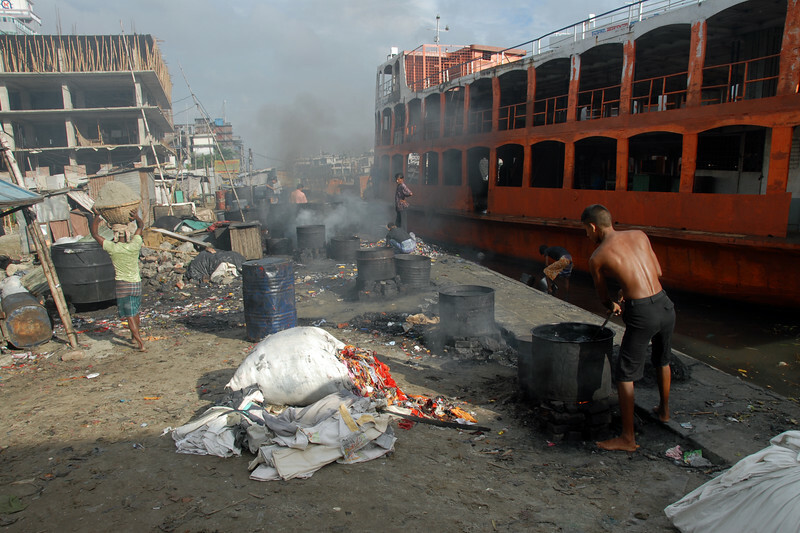 Unfortunately, the river is Dhaka's main outlet of sewage waste and is threatened by pollution and waste. What was mind boggling was that people were using this mucky water to drink, gargle, brush their teeth and take bath all within feets of each other! Amazing immunity system! 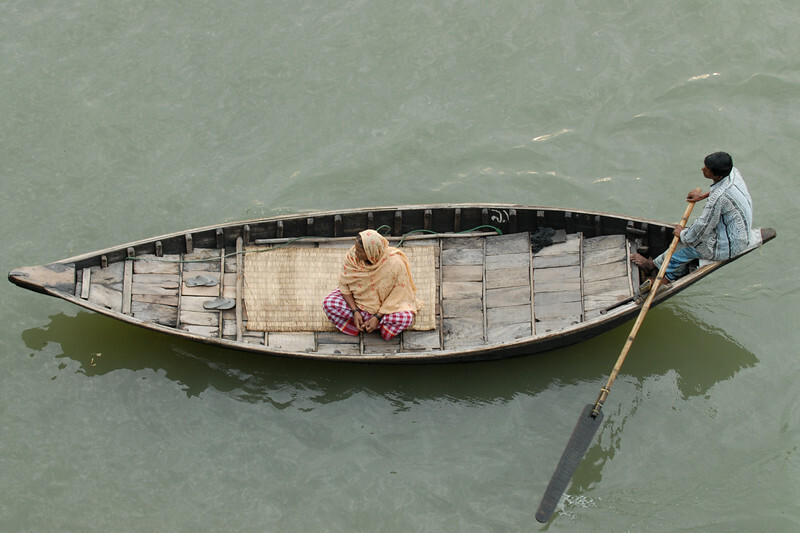 Small boats criss cross the river all day and serve as a cheap transportation for crossing from one river bank to the other. 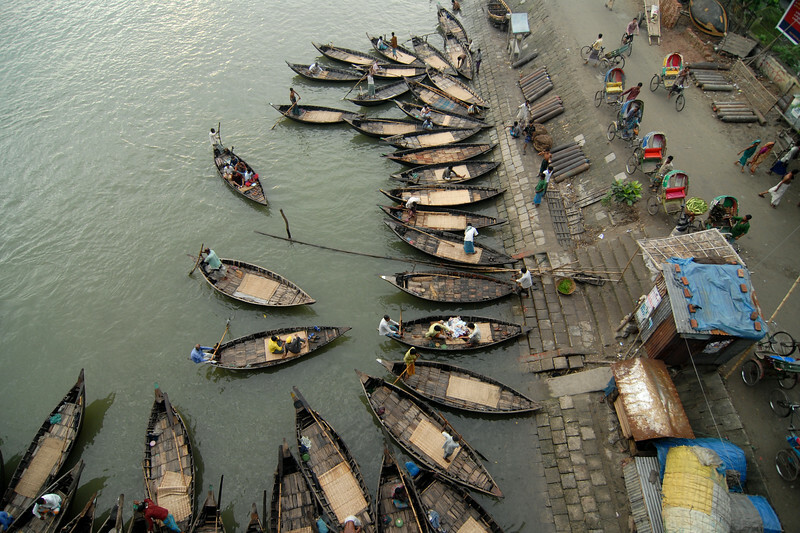 Buriganga River (Bangla: বুড়িগঙ্গা Buŗigônga "Old Ganges"). 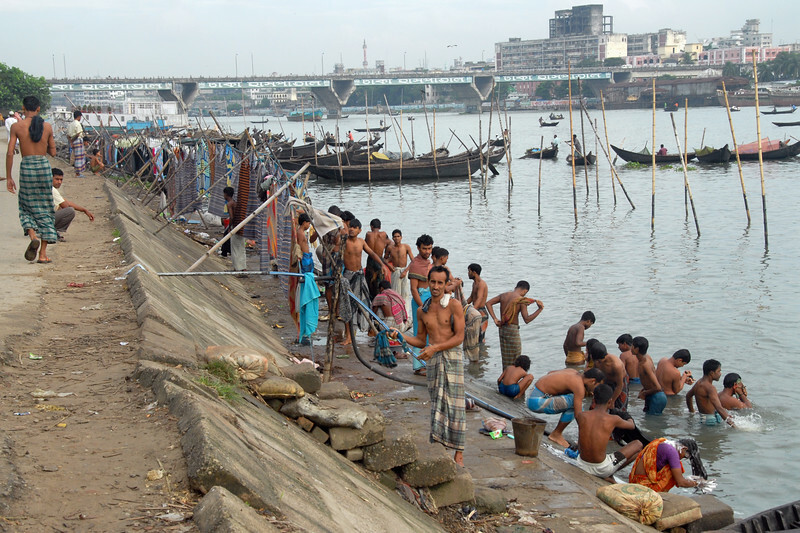 Buriganga is the life line and much happens in and around this river. 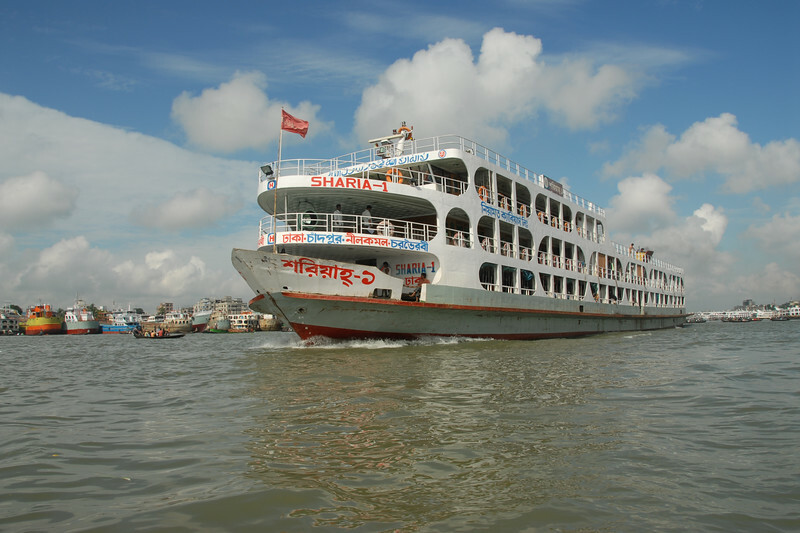 It is the main river flowing beside Dhaka, capital cityof Bangladesh. 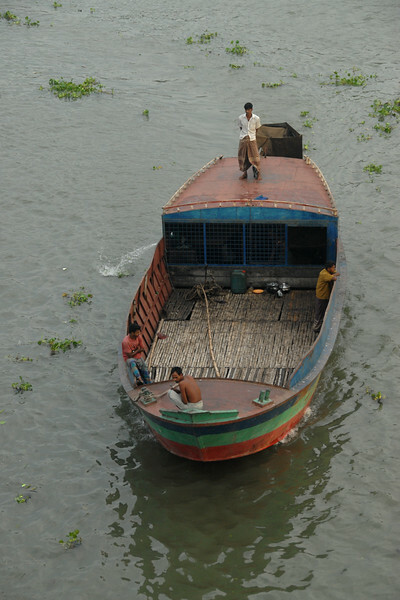 With an average depth of 39 feet (12 m) its quite amazing to see the activities along the river. 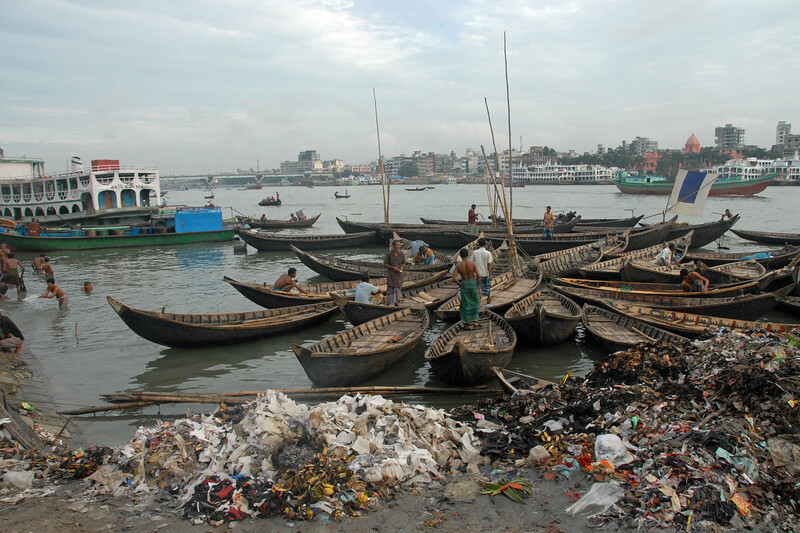 Unfortunately, the river is Dhaka's main outlet of sewage waste and is threatened by pollution and waste. 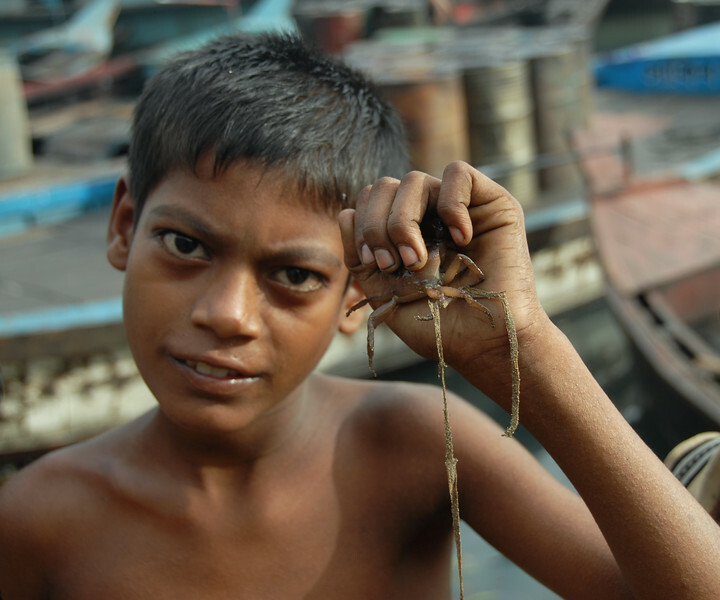 Children catching small crabs and putting them in plastic bags. 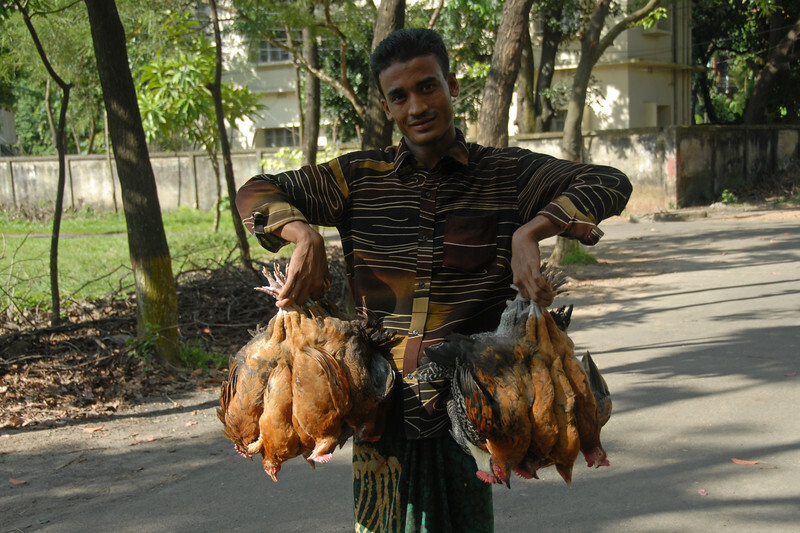 Proudly displaying their catch. Not only were they not scared but actually quite enjoying this - sort of like a game. 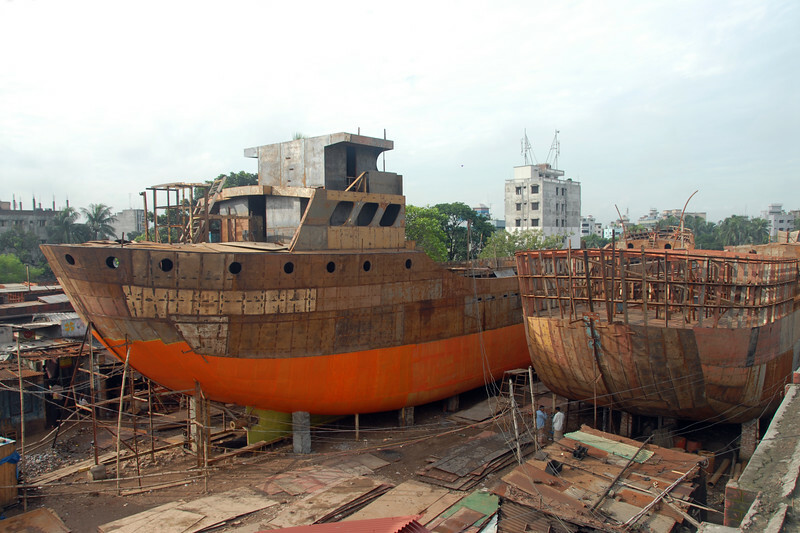 What was scary was the heavy machines operating with cutters & welders for the ship breaking industry. Unmindful, the kids just went about their live. 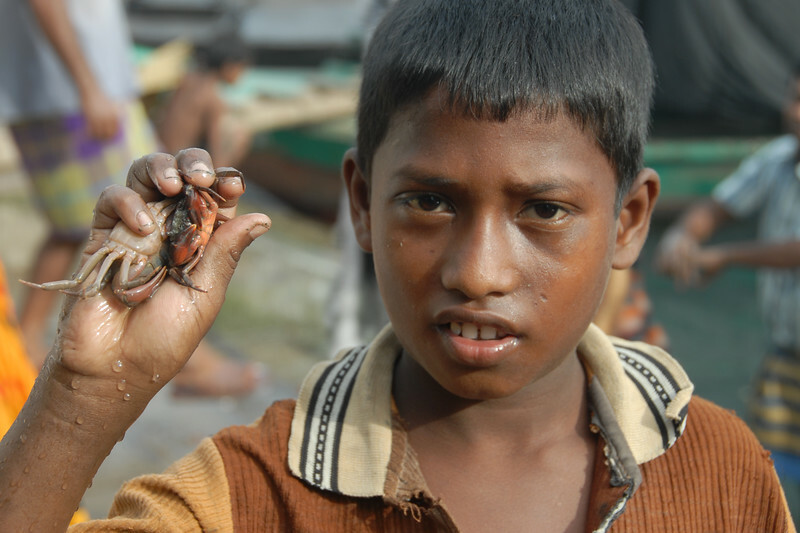 Children catching small crabs and putting them in plastic bags. 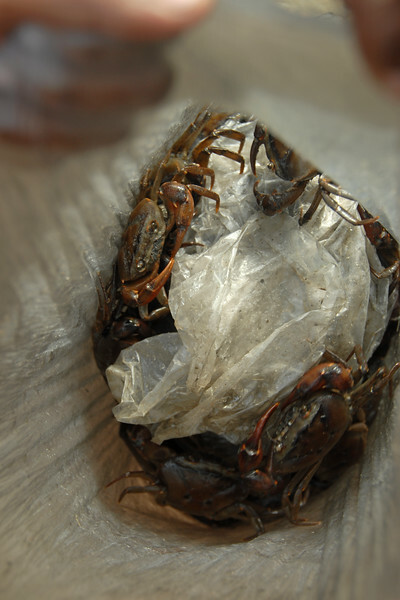 Tiny crawling crabs in a plastic bag. Children catching small crabs and putting them in plastic bags. 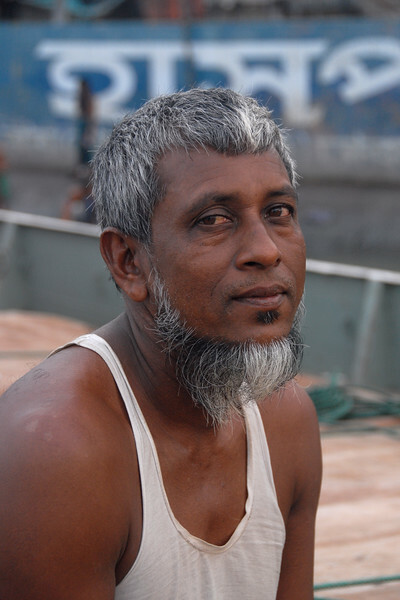 Portrait of one of the men on the boat/barge. 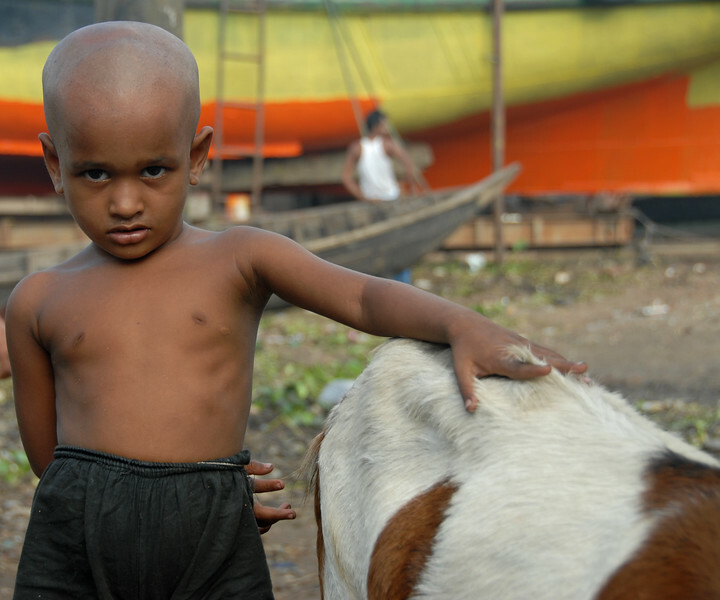 Street scenes around Buriganga, Dhaka, Bangladesh. 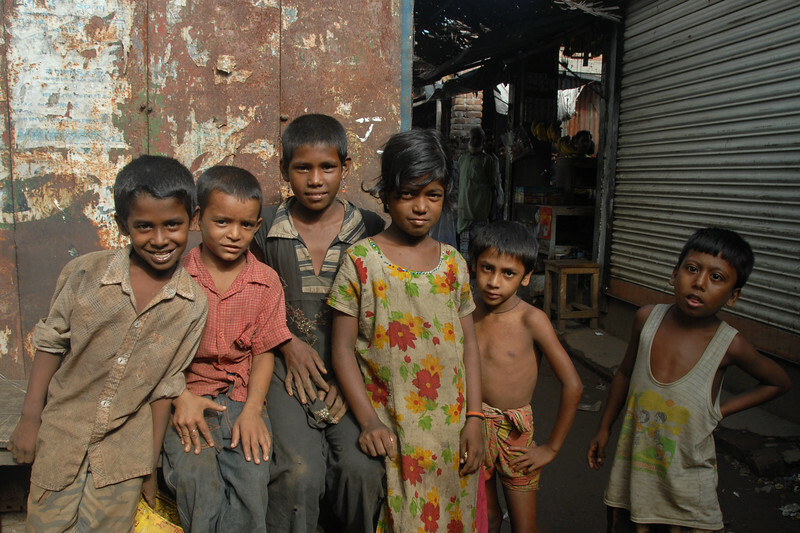 With poor and meagre living conditions life is a daily struggle for survival. Yet everyone I met had a smile on their face. 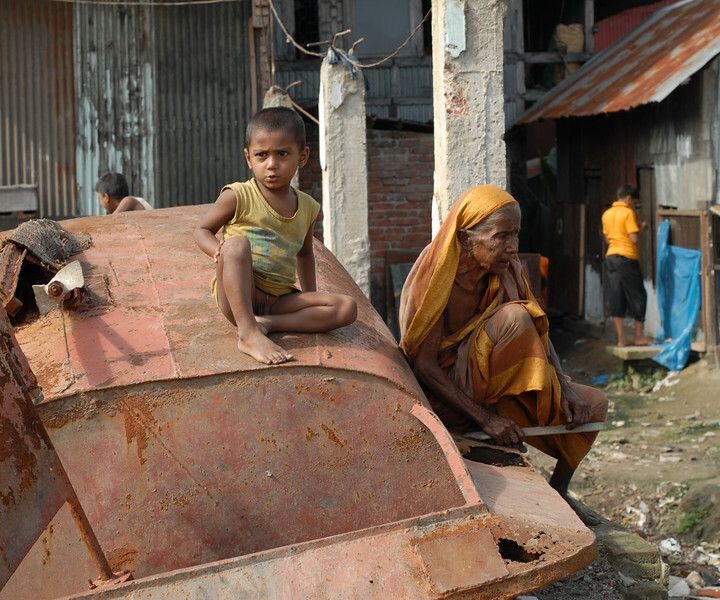 Inspite and beyond the poverty and pathetic living conditions. 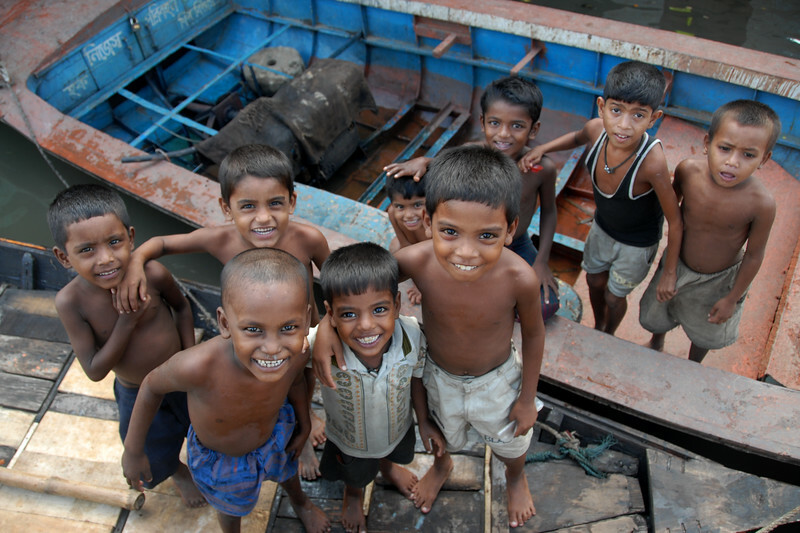 Same water in which the children catch crabs the man on the left is urinating. All around the smoke was intense! Fumes from the burning oil and tar. 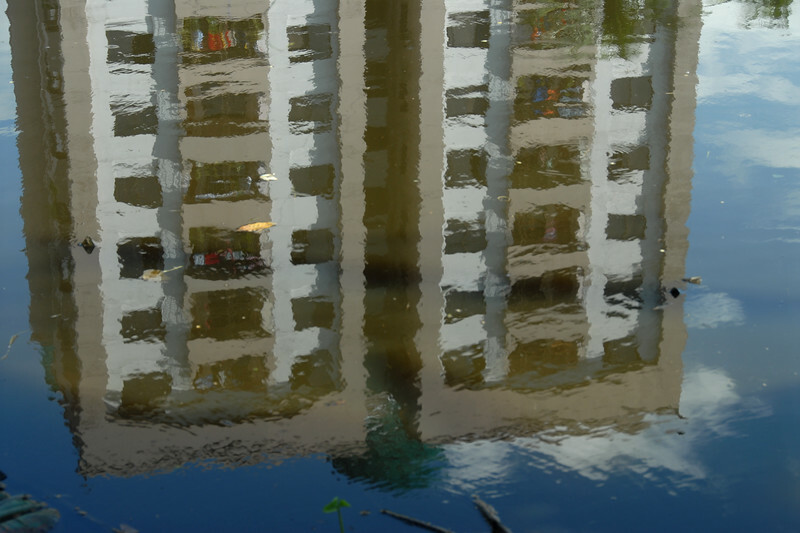 Pollution along the river banks. 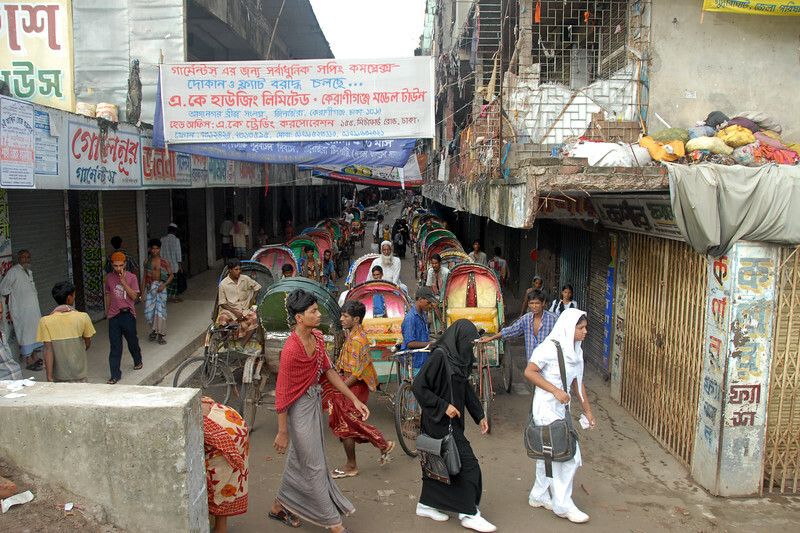 Images taken from the small dow light boat used to cross the Buriganga river. The water level is just inches lower than the boat's edge and rocks quite a bit when larger boats pass you. 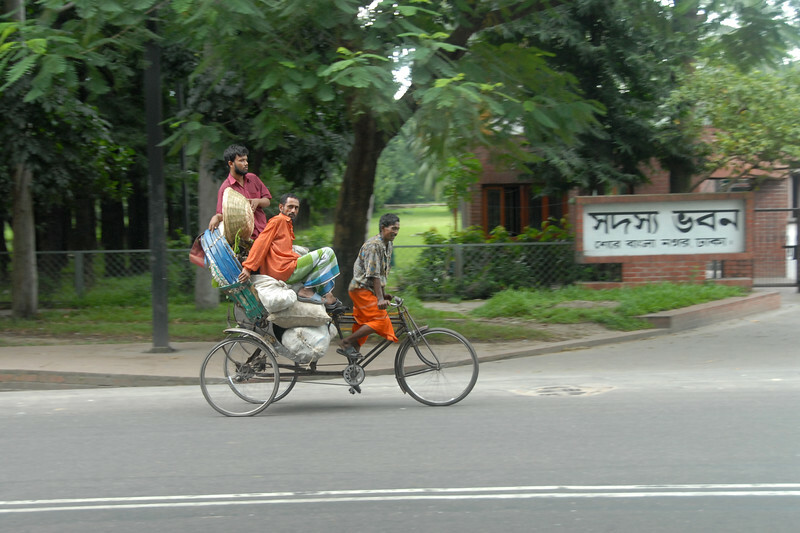 Men pulling great loads stacked on their rickshaws. 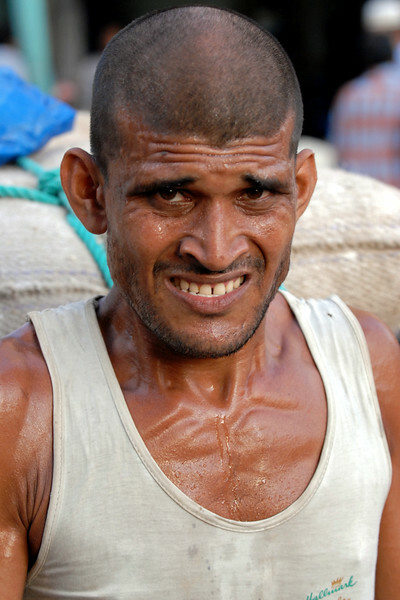 You can see the strain in their body. People with cars and bikes had little patience for them moving slowing across the streets. 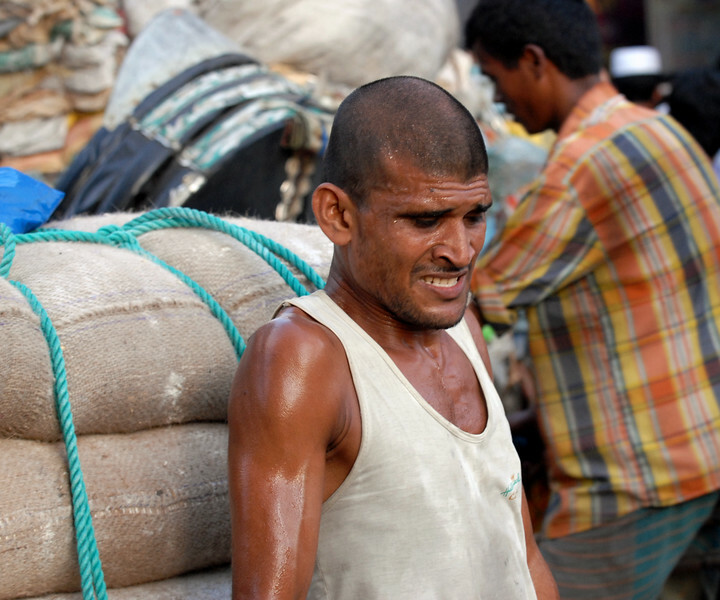 Rickshaw puller covered in sweat and putting all his might in pulling the heavy load. 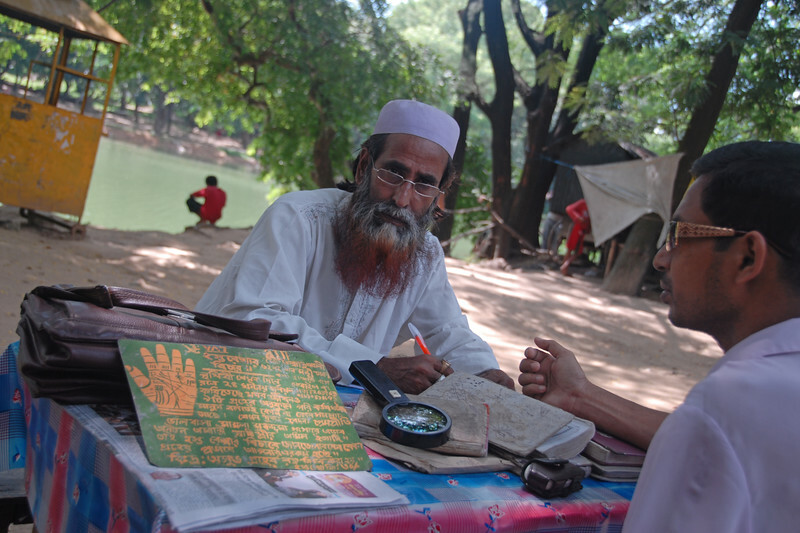 Palmist sitting in the shade in Dhaka, Bangaladesh with a customer in front. 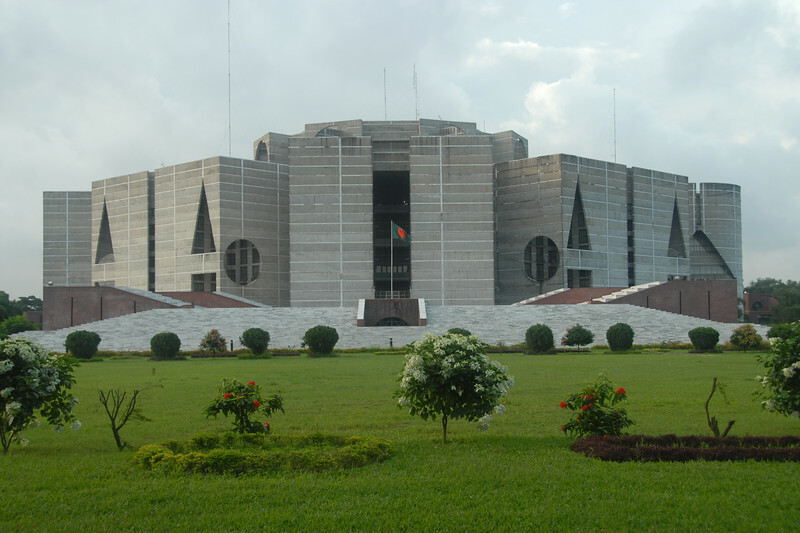 Jatiyo Sangsad Bhaban (Bengali: জাতীয় সংসদ ভবন Jatio Shôngshod Bhôbon) is the National Assembly Building of Bangladesh, located in the capital city of Dhaka in Bangladesh. It was created by architect Louis I. Kahn and is one of the largest legislative complexes in the world. 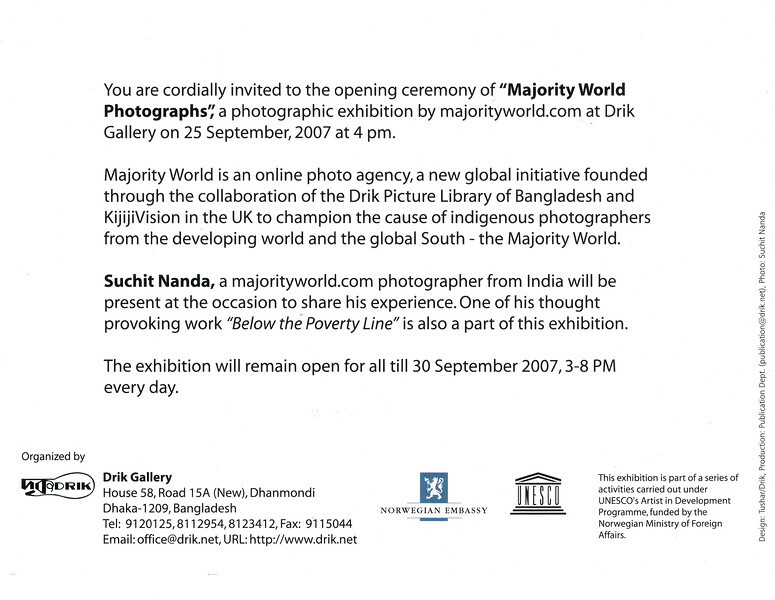 It houses all parliamentary activities of Bangladesh. Chandrima Uddan (also called "Zia Uddan") is a park situated across the road from the Jatiyo Sangshad Bhaban, in Dhaka, Bangladesh. 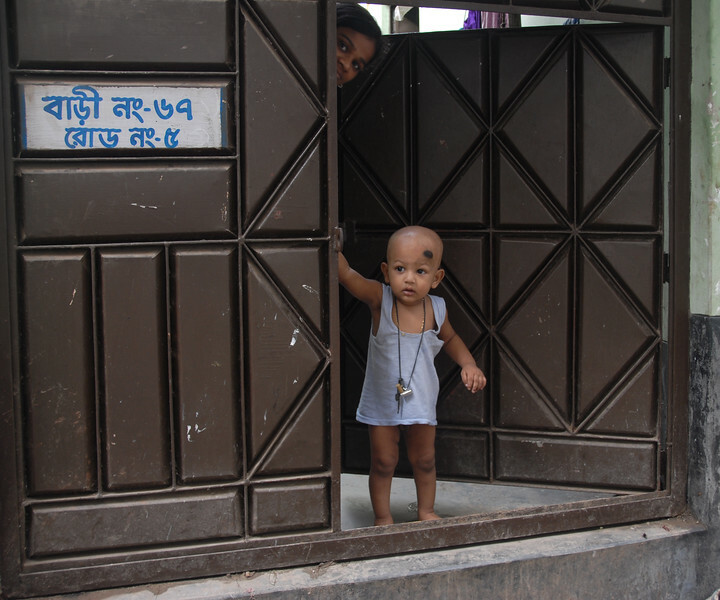 In Bengali, the name literally means "Moonlight Park". This park is notable for being the place where the former Bangladeshi President, Ziaur Rahman was buried. 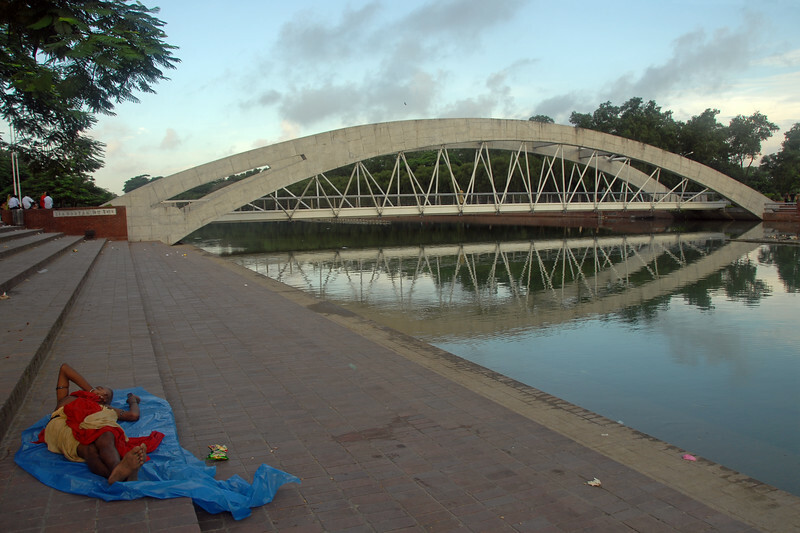 It is connected to the main approach road with a bridge which runs over the Crescent Lake. The park is a common place to spend leisure time in the vicinity. Person sleeping on the steps of Zia Uddan. Chandrima Uddan (also called "Zia Uddan") is a park situated across the road from the Jatiyo Sangshad Bhaban, in Dhaka, Bangladesh. 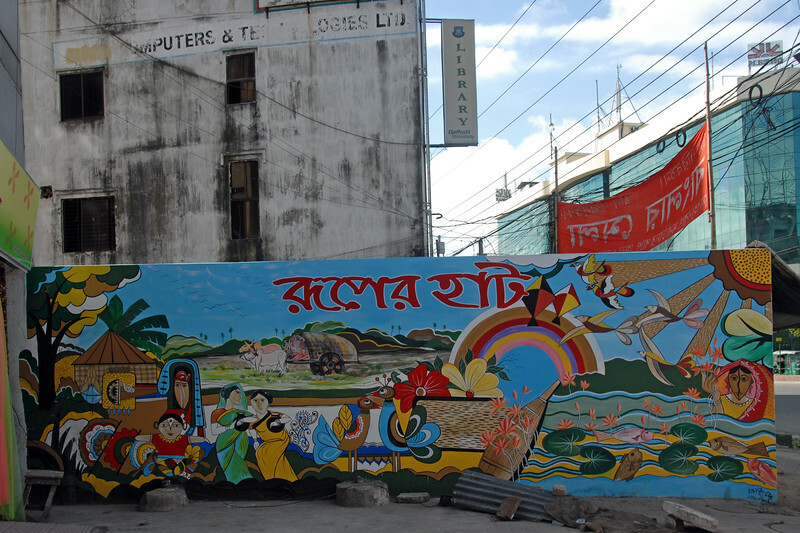 In Bengali, the name literally means "Moonlight Park". This park is notable for being the place where the former Bangladeshi President, Ziaur Rahman was buried. 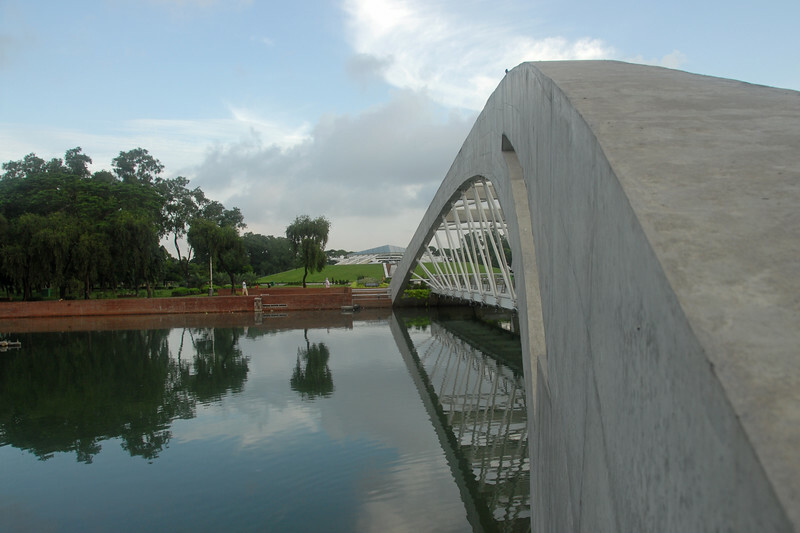 It is connected to the main approach road with a bridge which runs over the Crescent Lake. The park is a common place to spend leisure time in the vicinity. Panning shot. Almost got into trouble with this image as the structures behind are some sort of armed forces (military) building/office. 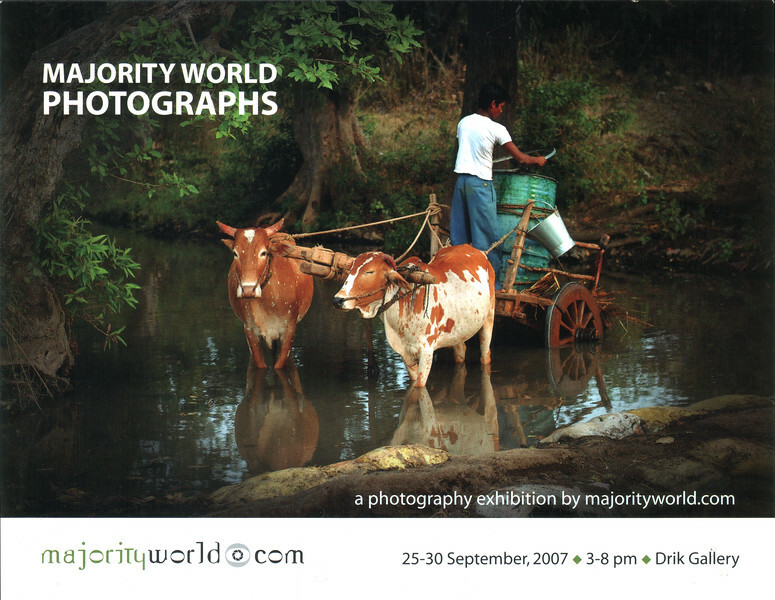 Security guards wanted to see my images and asked me to not shoot in that direction. 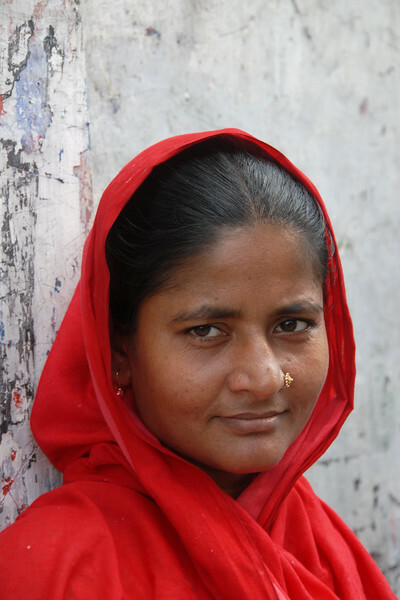 Portrait of a lady in red. 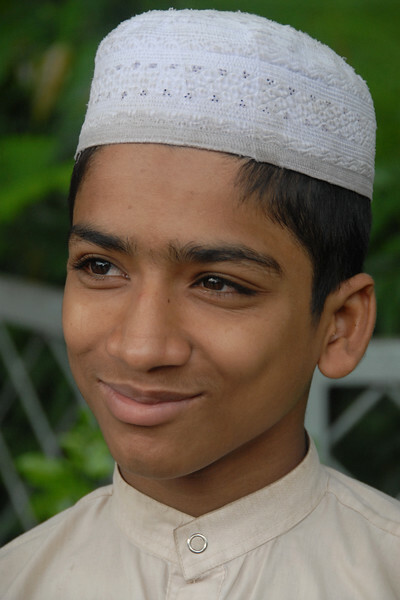 Tight portrait of a young muslim boy in Dhaka.